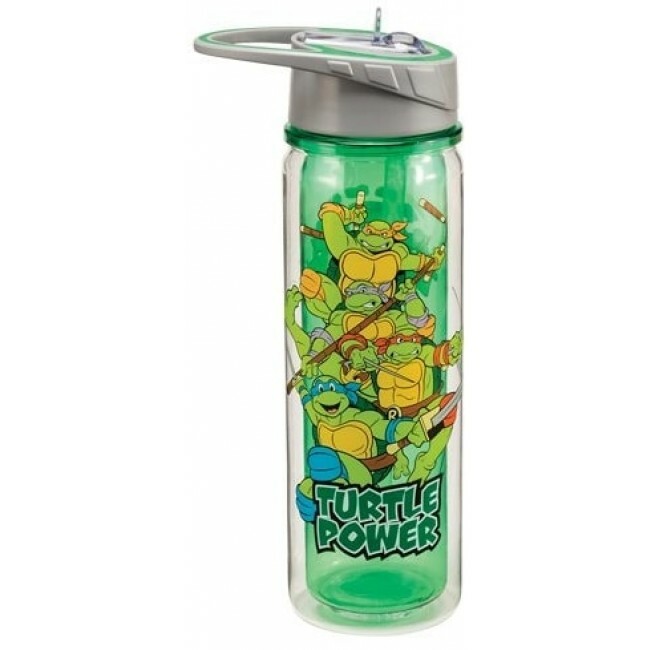 Drink up some Turtle Power! 18 oz. 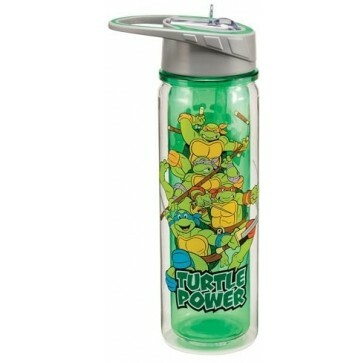 water bottle features durable Eastman Tritan co-polyester double wall to prevent condensation. Turtle foursome appears on the the from with classic Teenage Mutant Ninja Turtles logo on the back. Spill proof lid.